Emirates Classification Society (Tasneef) said that it is ready for the decision the Federal Transport Authority – Land and Maritime (FTA) prohibiting vessels carrying flags of countries that are blacklisted by maritime authorities to enter the UAE’s ports or dock in its waters unless they are classified by Tasneef or any member of the International Association of Classification Societies (IACS). This is part of Tasneef’s role as the national house of expertise and excellence for the maritime sector, and a reference for building a sustainable maritime economy for the UAE, reported Emirates news agency Wam. The FTA’s circular will come into effect on January 1, 2019. The decision was circulated to all the UAE’s ports, ship agents, owners, operators, and management companies, as well as all classification societies operating in the country. Dr Aysha Al Busmait, director of Government Communications at the FTA, said, "The decision regulates the entry of ships from black-listed countries. This ensures the quality and safety of these ships by obtaining inspection and conformity certificates from classification societies accredited by the FTA. We reiterate our trust in all classification societies operating in the UAE, especially Tasneef, as it issues marine classification certificates that meet the highest international standards. We want Tasneef to be the national house of expertise in disseminating best practices to protect our marine environment and transfer international maritime know-how to Emirati cadres." "We really appreciate the FTA for recognising the classification and conformity certificates issued by Tasneef on par with certificates issued by the IACS members. This recognition is the result of meeting all the FTA’s technical and professional requirements to recognise our certificates. There is no room for favouritism here as this is something that affects the safety of ship crews and our marine environment in general. “We are proud that our efficient technical teams and experts are capable of performing these tasks with the highest level of effectiveness. This trust is another milestone towards our goal to be the national house of expertise for excellence in the maritime sector and a reference for building a sustainable maritime economy in the UAE,” he added. 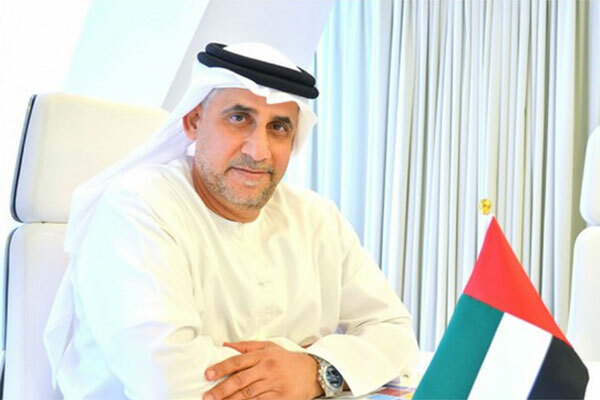 Waleed Altamimi, general manager of Tasneef Maritime, Tasneef’s maritime arm for issuing ship classification and statutory certificates, said: "At Tasneef Maritime Services, we have a professional team specialised in ship inspection. It includes Emiratis who are highly trained to issue certificates according to class and flag requirement. “In the inspection process, we adopt state-of-the-art technologies that make use of artificial intelligence. Recently, we signed an agreement with Abyss Solutions, which specialises in developing remotely-controlled equipment enhanced with sophisticated data-analysis algorithms for underwater examinations and inspections of ships and marine installations."